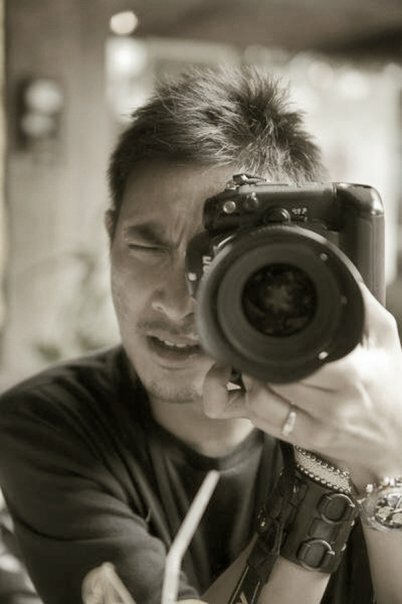 Born in Jakarta, Tommy A. Siahaan first fell in love with photography when he was 12 years old, being introduced to it by his father’s photographer friend. After spending 17 years living in the United States and Australia, now he is back since 2004 and has established himself quickly. Although he holds a Master’s degree in Business, he’s committed his profession in photography, where his passion is. Since his return, he’s hosted photography exhibitions, the speaker at photography workshops, seminars, and talk shows. His works have also been in several magazines and advertisements., and some of his Photoshoots have also been covered by TV stations. Tommy’s main interests are in fashion, beauty, portraiture, glamour, commercial, and wedding photography . "To me, photography should be about feelings.. revealing either about the photographer or the object , or even both.. it should be about capturing and freezing the moment, the emotion, the soul, in that specific time down to the milli-second, thru the interpretation of lights fall upon the object.. therefore, photographs should not only be taken with quick sharp eyes, but also, more importantly, they should be taken with heart.. "
In 2009, Tommy went back to the US. for several months to take on a filmmaking course in Hollywood, California. This is to fulfill his dream of becoming a filmmaker, implementing his talents and vision that hopefully will contribute greatly for the Indonesian Film Industry. Before he returned to Jakarta, he made a short film in Los Angeles titled ‘Une Douce Souffrance’ (‘A Beautiful Pain’), with a French actor and British actress as the lead. Upon his return, while preparing for his first feature film, he also has started to take on directing tasks for Commercials and music videoclips, as well as staying faithful to his photography.